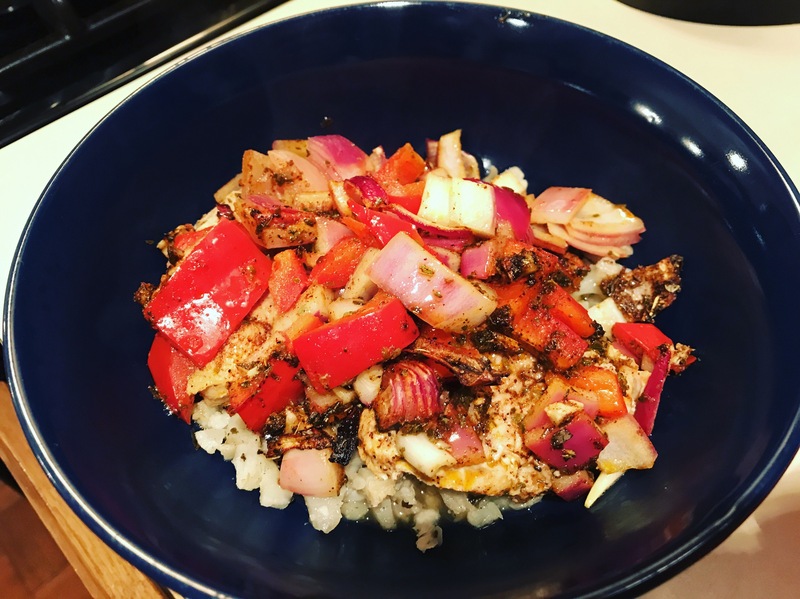 I continue to look for easy healthy and quick meals… Since I get home around 7:30 most nights, I don’t want to be cooking forever nor do I want to eat super late… This is not only quick, but it’s delicious and healthy! Place chicken in pan. I cut the chicken into small pieces so it would cook faster. Combine remaining ingredients in a bowl (except onion and pepper). This is your seasoning. Chop onion and pepper and place over chicken. Cook 30 minutes or until done! I served it with cauliflower rice!